Editor's note: The following was originally published on Farming First. Across the dry, sparsely populated lands that extend across large areas of northern Kenya, semi-nomadic herding communities – or pastoralists – have survived for centuries by grazing their cattle, sheep, goats, camels and donkeys over vast distances in perpetual rainfall-driven cycles. 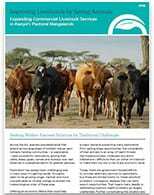 Read the complete case study on IOM's work to improve pastoralist livelihoods by creating sustainable agrovet service models. 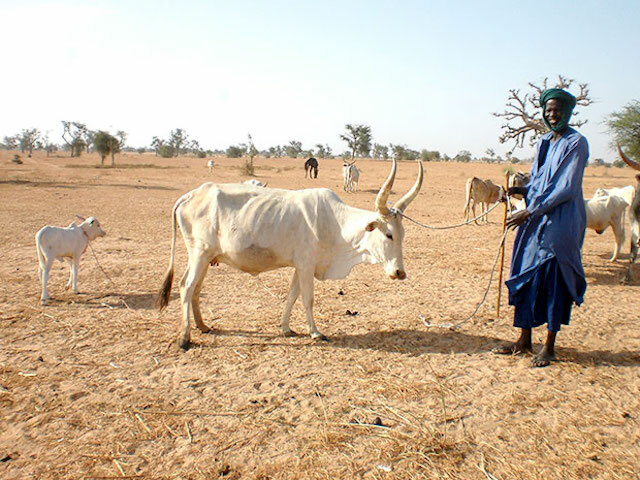 Pastoralism has always been challenging and in many ways, it’s getting harder. Droughts seem to be growing longer, harsher and more unpredictable as climate change scrambles the meteorological order of these areas. 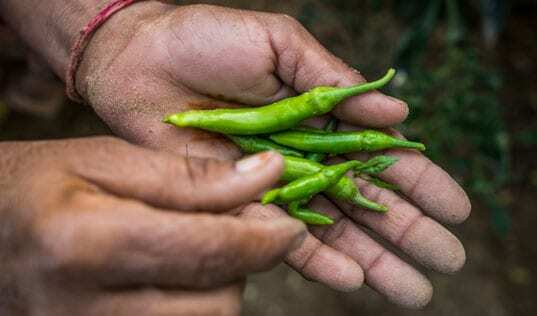 like trypanosomiasis, rinderpest, and worm infestations—afflictions that can either kill livestock or make them too sick to be of any economic value. Veterinary services, vaccines, and drugs are available in most parts of the country, but the (mistaken) perception of low demand, sparse population, and perceived high investment risk has led to huge swathes of Northern Kenya being severely under-served by nearly all public- and private-sector services. Today, there are government-funded efforts to provide veterinary vaccination services to pastoralists, but these are limited mainly to “trade sensitive” problems—endemic diseases that can harm export opportunities. That means many deadly or debilitating livestock health problems go largely unattended. Further complicating the situation are widespread reports of pastoralists encountering inept or outright fraudulent vendors, leaving them wary of private veterinary service providers. Over the last few years, several new initiatives have been launched to put commercial providers of veterinary services in regular contact with pastoralists and their herds. To facilitate and evaluate these efforts, TechnoServe’s Innovations in Outcomes Measurement (IOM) project is partnering with the Nairobi-based International Livestock Research Institute (ILRI), along with Kenya Markets Trust (KMT), to implement and evaluate three different approaches, to determine whether these approaches are improving animal health for pastoralists, and if those improvements are leading to increased profitability. Equally important, IOM is evaluating whether the increased contact with pastoralists is boosting profits for commercial veterinary service providers. The success or failure of the different efforts will ultimately depend on whether they offer a business model that makes servicing pastoral communities financially sustainable for commercial providers. In Garissa County, in Northeast Kenya, IOM is assessing ILRI’s effort to establish a regular weekly circuit in which commercial service providers—mostly in the company of government veterinarians—travel to watering points, markets and villages where pastoralists often gather with large numbers of animals to offer the full range of animal health services that are allowed by law; tick control, hoof trimming, dehorning, castration, pregnancy diagnosis, treatments, sale of veterinary inputs, and dissemination of advice from extension services. in the town of Garissa, says there is an incredible demand for veterinary services and inspired him to be more aggressive in seeking out customers. Overall, this new proactive approach is having positive impact on sales, and his business is thriving. In May of 2015, Alow generated $4400 in sales. One year later, sales had more than doubled to $9700. In Isiolo and Marsabit Counties, ILRI and IOM are working with the Northern Rangelands Trust (NRT) and Sidai Africa, which operates veterinary health franchises across Kenya, to pilot the packaging of commercial veterinary products and services with government or NGO-operated animal health campaigns. The goal: a cheaper single bundle of products and services that is more attractive to the consumer. Sidai representatives ended up selling products and services to deal with problems like worms, trypanosomiasis, tick infestation, and various bacterial infections, including pneumonia and enterotoxaemia—an often fatal but vaccine-preventable livestock disease. Overall, sales during the campaign helped the Sidai franchise exceed its monthly revenue target by 20 percent. The bundling effort was not without challenges. There were several herders who were confused by the fact that some services were provided for free from the government, but others required payment. 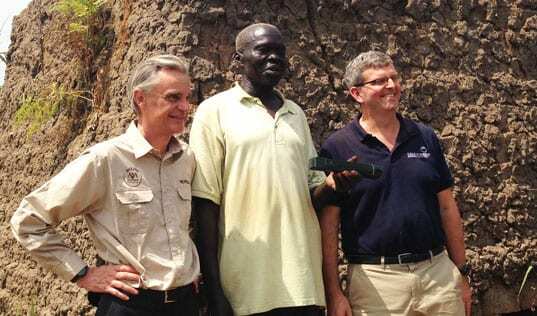 This issue is now on the wane, however, given that as the provision of commercial services in pastoral areas expands, services and products are provided where and when they are needed, and relationships are strengthened between commercial service providers and pastoral communities. In Turkana County in northwest Kenya, IOM is evaluating a partnership between KMT and a local provider, Silo Agrovet, to improve veterinary products and services offered via a network of small, satellite micro-franchises housed within 18 small retail shops that operate in villages across the county. 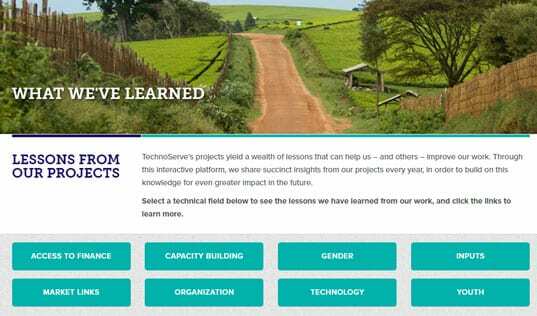 Silo’s new satellite agents also are learning basic book keeping practices to record sales of veterinary supplies and developing systems to track their outreach to pastoralists. Already, some of the agents have been able to either move with the pastoralists to provide veterinary products and services as they migrate to new locations, or meet up with them at watering points on market days. 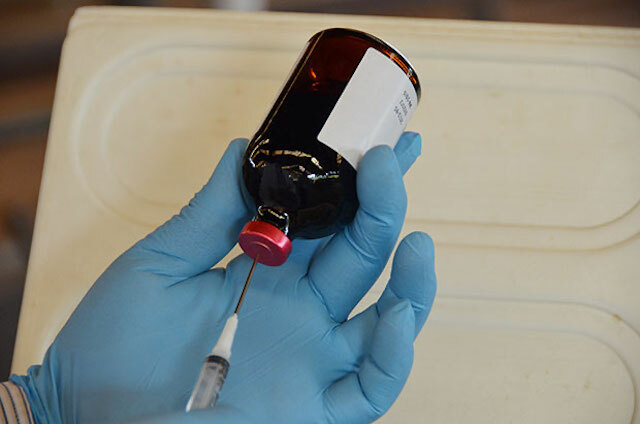 KMT is also reaching out to manufacturers and distributers of livestock vaccines and drugs to ensure a steady stream of affordable, high-quality products are available to enable Silo to rapidly scale-up its offerings in Turkana. The increased sales volume generated by the satellite stores should allow Silo to negotiate with suppliers for discounts on bulk purchases. IOM estimates that the total potential incremental profit of these new models for linking agrovets to pastoralists will exceed $9,000 annually per household. This translates into nearly $14 million in benefits across 1,500 households in the first year alone. If these services reach the 60,000 projected households, profitability to pastoralists could exceed a total $1 billion by the year 2021. 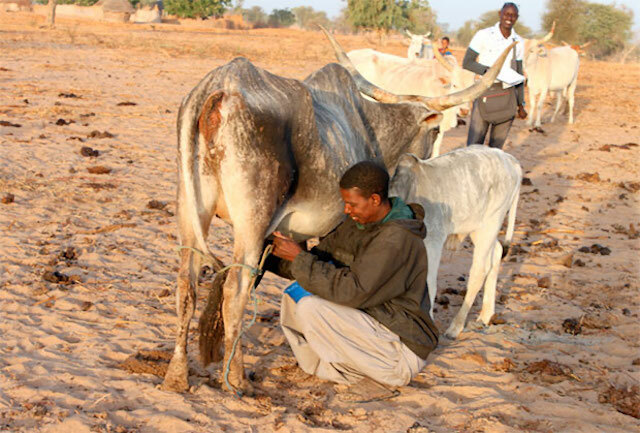 IOM conservatively anticipates a 14 percent reduction in herd sickness and a 13 percent reduction in herd mortality amongst pastoralists accessing these services. 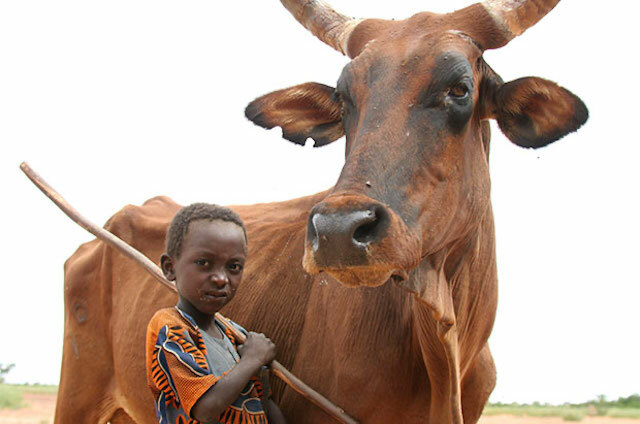 These numbers translate into significant, tangible value for pastoralists in terms of increased milk production, the value of the animals themselves, and the value of future calves born from surviving livestock. There is also likely to be a reduction in threats to animal health as encounters with counterfeit products and fraudulent services diminish in favour of high-quality mobile services. Furthermore, despite increased expenditures on vaccinations, IOM anticipates a net 15 percent in cost-savings based on reduced costs of treating sick and dying animals, and reduced traveling and lodging expenses incurred by pastoralists who otherwise are forced to journey to distant towns to purchase supplies. in increased monthly profits from each of the pilot regions alone. This translates into combined incremental profits from all commercial providers of approximately $385,000 in the first year and nearly $29 million over five years, assuming a gradual growth in coverage from commercial providers from 1,500 pastoralists to a conservative 60,000 pastoralists by 2021. These numbers were calculated based on feedback from Sidai and other livestock veterinary service providers. They represent the increased profitability potential for all agrovets in the region gained by boosting sales of animal health supplies and services to pastoralists. Profit estimates are based on the conservative assumption that each agrovet will serve approximately 2,000 farmers, and 27 percent of farmers will seek treatment for at least one animal. Read more about IOM's to work in this blog exploring how advances in drone-assisted imaging and mapping services can bring new income and efficiency to economic development in East Africa.